Looking for a Barcelona rooftop restaurant with unbeatable views? Blue Spot Barcelona could be what you need. If I had a euro for every time I’m asked this question I’d have, well, some euros. People who don’t want to stare at their smartphones during dinner (or at their dining companions, but let’s not dwell on that) are often keen to find a panorama to frame their paella. Barcelona can be a beautiful city. Visitors want to cram in as much sightseeing as possible while they’re here. But suggesting such vino-enhancing vistas is surprisingly tricky. The few restaurants with great views – and by this I mean views from a height, not just pretty street scenes – tend to be either overpriced or underwhelming. Or both. Blue Spot aims to be the exception. Created by En Compañia de Lobos, the same small group that’s behind The Green Spot and a few other worthy places, this large new restaurant occupies 1,400m2 of rooftop space near the sail-like Hotel W Barcelona. The entrance is next door to Maná 75º, which I reviewed recently. As I mentioned in that post, this is an area on the up and up, and Blue Spot certainly boosts its trendiness. Not only does the restaurant occupy the roof of the stylish Desigual fashion house headquarters but it has serious celebrity credentials too. Yes, Barcelona’s most beloved couple – gyrating Colombian songstress Shakira and her footballer husband Gerard Piqué – are rumoured to have a minor stake in the venture but don’t let that put you off: Blue Spot isn’t a bling palace infested with WAG wannabes. Trust me: my tips don’t lie. Traverse the surprisingly ugly entrance (deliberately discreet, apparently) and rise eight floors in the elevator. You’ll step out into a very attractive, multi-roomed restaurant and cocktail bar with private areas, terraces, indoor and outdoor seating and a general air of having been well thought out. It’s immediately apparent that Blue Spot shares DNA (and architect, Brazilian Isay Weinfeld) with Green Spot but what will really grab your attention are the views. On all sides, framed by vast windows or simply open to the terrace, are Barcelona and the Mediterranean. The sun glitters on the sea behind a queue of cruise ships. The port thrums with activity. Off-duty deckhands doze behind superyacht helicopter pads. The golden beach stretches out with the bustling city beyond. It’s glorious. But on my visit in late October, just before autumn puts on its winter clothes, I sat on a shaded part of the sunny terrace and started with an oyster in tonic foam (€4.50). My companion and I then shared a tatin of wood-oven-roasted tomato and smoky idiazabal cheese (€13), and an attractive scattering of marinated local fish and passion fruit (€17). We had some roasted scallops with celery purée and pistachios (€21). And we had a soft-shelled-crab burger (€16), looking like Spongebob Squarepants’ darkest revenge fantasy. Then desserts, two of them. They looked like this. I know what you’re thinking at this point: this review is a little short on food details. That’s true. And that’s instructive. The food at Blue Spot was all fresh, attractive and tasty. Pretty plates of pleasant stuff to put in your mouth, competently cooked by chefs whose CVs list restaurants you’ve heard of. It was also all largely forgettable – and that’s not a criticism. The food is good but it’s not why you come here. Visit Blue Spot with someone interesting. Soak up the views. Enjoy what you’re eating but pay attention to the conversation. Don’t dissect the entrée; smile and experience the occasion. You’ll remember what’s important. Blue Spot sets the stage admirably for a good time. OK my people, I won’t leave you hanging. This bit’s for you so dive into the details: Blue Spot starters are in the €12-€24 range, mains €18-€25. Expect a per-person bill in the region of at least €50 or €60. Full disclosure: I was invited by the restaurant. A lot of the fish and meat comes off the wood-fired grill (this is a Good Thing) and the menu is mostly Mediterranean. There are indulgent rice dishes, fresh pasta, lots of interesting but not overreaching twists on dishes that you know you like. You can order without fear; it’s safe but not boring. Think modern, fresh, technically correct. The desserts are disappointingly over-sweet but you’ve certainly had worse. Waka waka over there and give it Blue Spot a try. 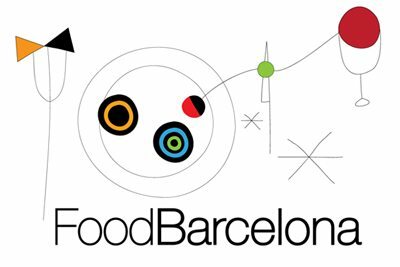 Looking for other restaurants in Barceloneta? Look here. You sold me on the view, which is even better than from the cafe by the cable car on Montjuic.